On the left her nose is broader. On the right, you see a slimmer, reduced nasal shilooutte which was created by building the bridge of the nose. Using dermal fillers, we are able to non-surgically change the contour of the nose to correct for asymmetries. 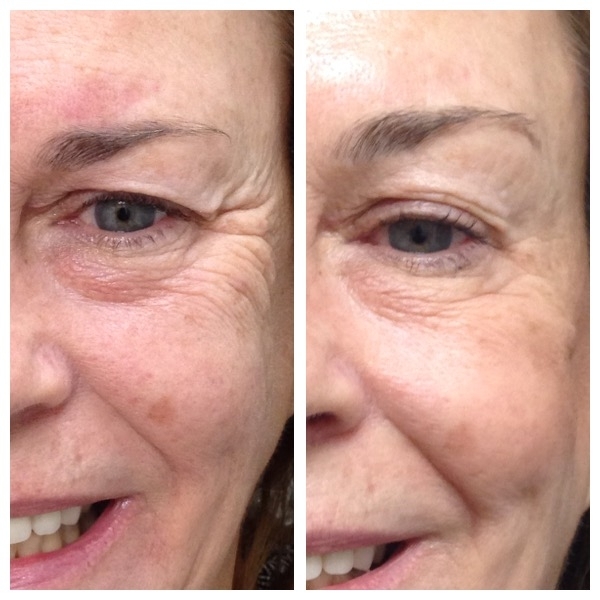 Nonsurgical techniques to reduce lines around the eyes and to lift the upper eyelid. Using dermal fillers, we are able to non-surgically change the contour of the nose to correct for asymmetries. By relenting the muscle that lifts the upper lip higher than the gum line, we are able to eliminate gummy smiles. Forehead Wrinkles - Elimination of those dreaded "elevens" with simple quick procedures. 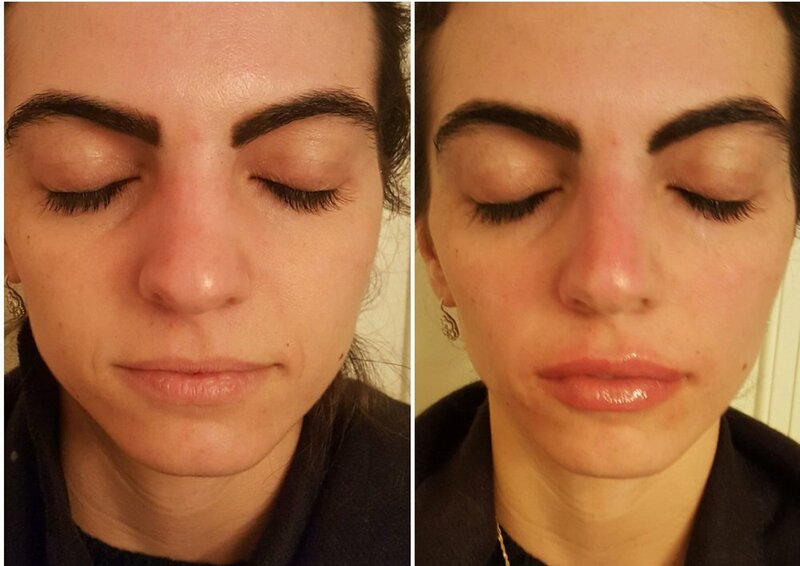 Nonsurgical Blepharoplasty- Although she is smiling in both pictures and eyebrow placement remains unchanged, her upper eyelid is retracted in the after picture on the right exposing her upper lid, lash line, and opening up the aperature of her eye.